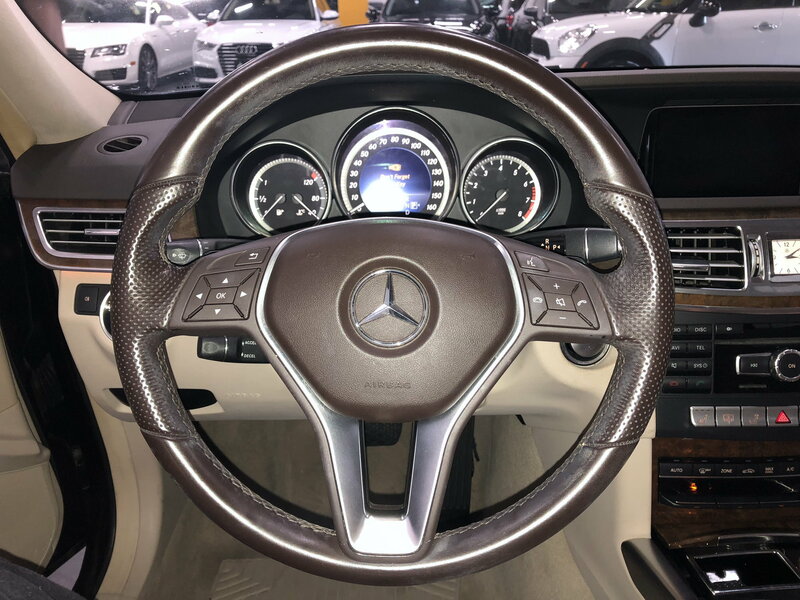 I am looking to buy a 2014 E350. The car is one owner with 96,000 miles. I want to know if it is a good decision to buy this vehicle with high mileage or not. Are these cars reliable? How much maintenance will be required going forward? also, I am attaching pictures of interior. It looks like steering wheel cover is badly worn out. Is there a way to recondition the steering wheel cover? Can I unstitch the steering wheel cover all together and remove it? Yes, these cars are reliable but you'd be wise to a pre-purchase inspection at your local dealer to check for issues. You'd also want to see the maintenance records to be sure all has been kept up with. The dealer should be able to do a vehicle master inquiry (VMI) for you that would show all the work done at MB dealers. In regards to the steering wheel, that kind of looks like lotion or sunscreen. There appears to be some on the turn signal/wiper stalk also. I would try cleaning it up first. OP, pass. Patience is key. You can find w212 v6, v8 for great prices, 1 owner, better condition than that. Does it have any worthwhile options? full LED, pano, driver assist, parking assist, parktronic, dynamic seats? If it’s a base car keep looking. If you are just looking for a cheap ride with a star in it, I wouldn’t be shopping Mercedes. Maintenance and parts for these cars may test your budget. Ok so I bought a 2010 E3504matic 2.5 years ago with 93K miles for a good price. Was in nice shape all dealer service records up to date. I have dealer serviced it similarly. 27k miles 2.5 years later I just spent $3200 on a transfer case rebuild. $500 of which was for a transmission fluid replacement which is a maintenance plus $200 for a trans mount. So that should give you a benchmark for what an out of warranty expense can be. In some sense I was lucky that the indy would rebuild the TC otherwise I would have been looking for a used transmission as a new one is $8250 before any goodwill. So there you have it... You've been warned. Thats a lot of miles for a 2014. The stuff on the steering wheel is just gunk from driver hands. Should easily clean off, but you gotta wonder, if they put it up for sale looking like that, what else is going on? I tend to want fairly low mileage cars buying used, they are out there. Find one with service records if you buy private. Have it gone over by a good independent dealer. Unless you absolutely need it, avoid 4matic, that adds complexity and cost. Buy a subie if you need 4wd.